All transactions are safe and secure with a reliable history in online purchasing behind each of our associates. 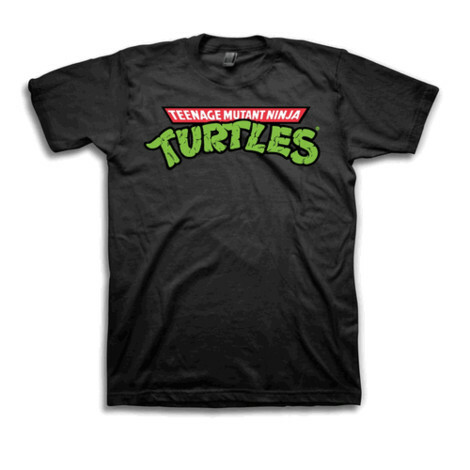 Buy the Teenage Mutant Ninja Turtles Logo t-shirt to own TMNT clothing and merchandise. TMNT is one of the most popular movies, animated series and comics of all time. Regardless of which format or character is your favorite, this plain and simple black logo Teenage Mutant Ninja Turtles tee has you covered. If you are still undecided, check out the movies and TMNT comic books to discover your favorite. If you want in on the action too, snag the TMNT video games for hours of fun. In addition to the Teenage Mutant Ninja Turtles Logo tee above, browse the TMNT Clothing Gallery for more apparel like men's and women's clothes, kids shirts or hoodies.